Jenna Lowe captured the hearts and minds of our nation, inspiring a staggering 36 000 South Africans to register as organ donors through her brave GetMeTo21 campaign. Today, on what would’ve been her 21st birthday, we commemorate and remember her extraordinary life as a young leader, role model, educator and champion. Jenna was a friend of the Vibe and her story inspired both ourselves and our readers, her life one that positively affected so many others. Jenna planned a 21st celebration like no other. Her intention was to hold a spectacular event to celebrate this milestone with every person that signed up as an organ donor through her GetMeTo21 campaign. This campaign was not only about her personal need for lungs, it was also about the other 4 400 patients in South Africa awaiting organs for life-saving transplants. The vast majority of those are young people, also desperately wanting to get to their next birthday. Sadly, Jenna passed away on the 8 June 2015, four months shy of her 21st, a day that saw us once again remember her fondly. In life, Jenna exuded an inspirational bravery that touched people, increasing organ donor registration by 238% through her campaigning alone. 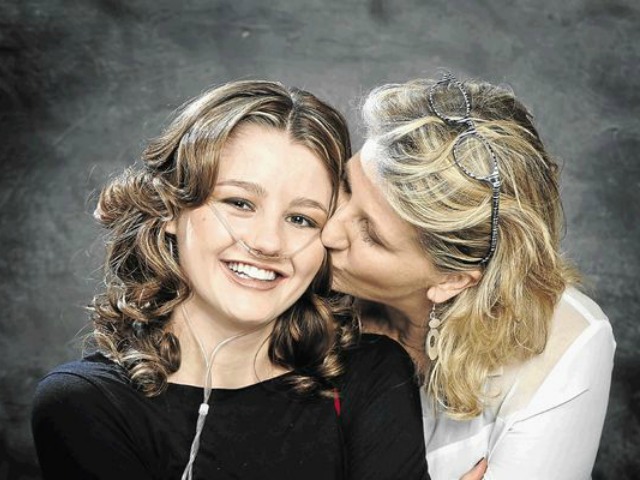 Her efforts to raise awareness for the rare and under-diagnosed lung disease Pulmonary Arterial Hypertension (PAH) from which she suffered has also paid dividends as the first specialist PAH unit at Groote Schuur Hospital & UCT Private Academic Hospital in Cape Town is now operational. Jenna was awarded Lead SA’s Youth Hero of the Month back in October 2014, and later named Lead SA Youth Hero of the Year in 2015. To acknowledge and celebrate Jenna’s beautiful life, the Jenna Lowe Trust has a newly designed website that continues the important conversation and work that she started. Designed to make news and features easier to find for families and patients in need of resources and information on PAH and organ donation, the improved user experience enables visitors to read, contribute and share information. In addition to the new website, and in honour of her birthday, The Jenna Lowe Trust has partnered with RELATE Bracelets to create a red beaded bracelet to honour, acknowledge and celebrate Jenna’s beautiful life. From today, the Jenna Lowe RELATE Bracelets will be available in boxes of ten online, selling for the launch price of R35 a bracelet. Proceeds of the sales go towards the Jenna Lowe Trust, which is mandated and committed to continue raising awareness for Pulmonary Hypertension, Organ Transplantation and Rare Diseases in South Africa. Jenna once said the following when aged just 12 – “I can make a difference, and a difference can make me” – so let’s remember all she did and get behind this fantastic cause. RIP Jenna – you will be missed but never, ever forgotten. This article was first published by 2 Oceans Vibe on 28 October 2015. Click here to read original article.